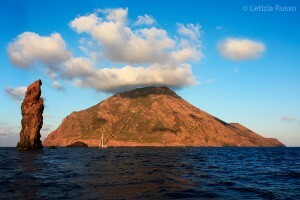 Filicudi is waiting for you for a trip in pursuit of natural and historical beauties. The island’s streets relate an ancient history, traces of all the populations which passed through, leaving evidences of an extreme beauty. 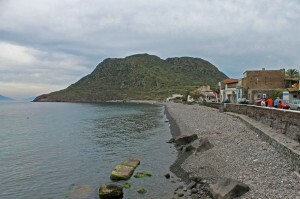 Filicudi is a suitable place for those who are fond of culture and natural beauties. Pristine flora and fauna and amazing beaches of Capo Graziano are the ideal frame for a holiday which will excite all the senses, from the eyesight to the sense of smell. In the end, your palate will be delighted by Mediterranean and Filicudian dishes, reminding the flavours of the sea and of the earth , so delicious and light; do not forget that the culture of the Aeolian Islands starts and goes through flavours. You will enter another time dimension while admiring amazing multi-coloured and unique sunsets; you will breathe a magic, or rather a mythological atmosphere. The smell of the sea and of the herbs, typical of the Mediterranean scrub will be able to inebriate you. You will discover plenty of emotions, an infinity of colours and ancient beauty of silence; that kind of silence which relaxes and remembers we are part of nature. The cobalt blue sea together with its rich and full of fishes seabed, the imposing rocky formations which seem to emerge from the sea as if they were the guardians of the island, represent the perfect background for wild and harsh nature, inducing you to venture between small mule tracks which cross the island. You will have an unforgettable holiday, immerged into a past life dimension, and you will finally feel the sensation of having found the earthly paradise. 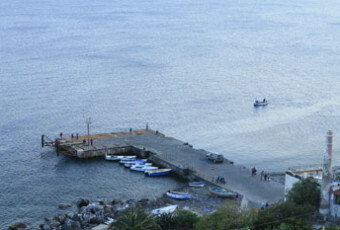 This is Filicudi.